Welcome to our Tent Rentals in Harrisburg PA Page! Centrally located in Elizabethtown PA, serving tent rentals in Harrisburg PA since 1990! We are your backyard tent event specialists! Perfect for parties, graduations, weddings & more! Are you celebrating something in Harrisburg, PA? Need tent rentals for outdoor events? ‘ae Parkins Tents’ is your Harrisburg tent rentals source. 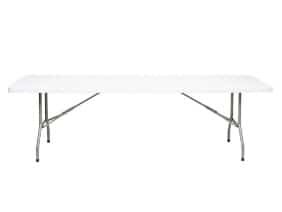 We offer an assortment of pole tents, chairs, and tables for any occasion. Whether it be backyard weddings, birthdays, conferences, or graduation events, we can help. Also, our stock is great for church functions, auctions, and car sales as well. Since we opened in 1990, owner Jay Parkins and his crew have been servicing Harrisburg, PA for every need you might have. With repeat customers as our primary business plan, ‘ae Parkins Tent Rentals’ continues to provide excellent service at affordable prices. With the customer in mind, our priority is on providing clean quality tent rentals, chair rentals, and table rentals in a timely fashion. Many have grown to trust us for assisting in all celebrations. Unlike conventional spoke tents, our pole tent rentals are supported by center poles and are anchored by stakes to the ground. They are ideal for grass and dirt, but also can be installed at venues with asphalt. At ‘ae Parkins Tents’, poles tents are the best value for their customers, no matter the occasion. With each tent rental we offer, there are also options to rent sidewalls & lighting. Get out of the dark and dampness. 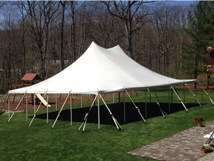 We intend to keep your backyard event dry and bright for as long as you need. These are some of the best tents I’ve ever seen. Jay, you’re always looking out for the customer. Our blocks parties go well with Parkins rentals. Especially on sunny days, their tents provide good shade! Thanks for the awesome service you guys provide. It rained the day of my wedding, which is good luck. However, no one felt a drop with Parkins tent cover. Thank you! 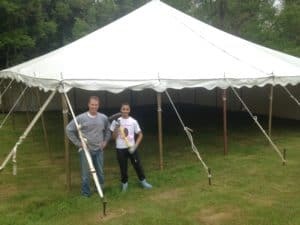 Our pole tent rentals are prime, but Parkins Tent Rentals also has table and chair rentals available for virtually any occasion and venue type. 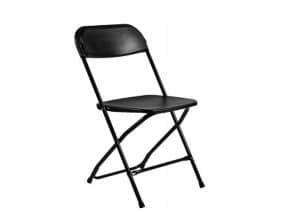 If seating and tables are required, such as for weddings, conferences, graduations, church functions, or more, we can assist. Whether the event is in any Central Pennsylvania location, such as in Lancaster, York, Harrisburg, or Lebanon, Parkins will be sure to help you pull off an a professional and comfortable event.